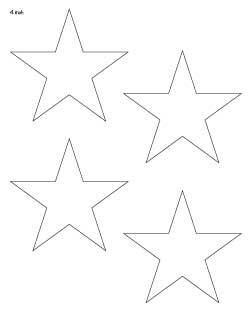 Five pointed stars, rounded stars, small stars, extra large stars, and so much more! 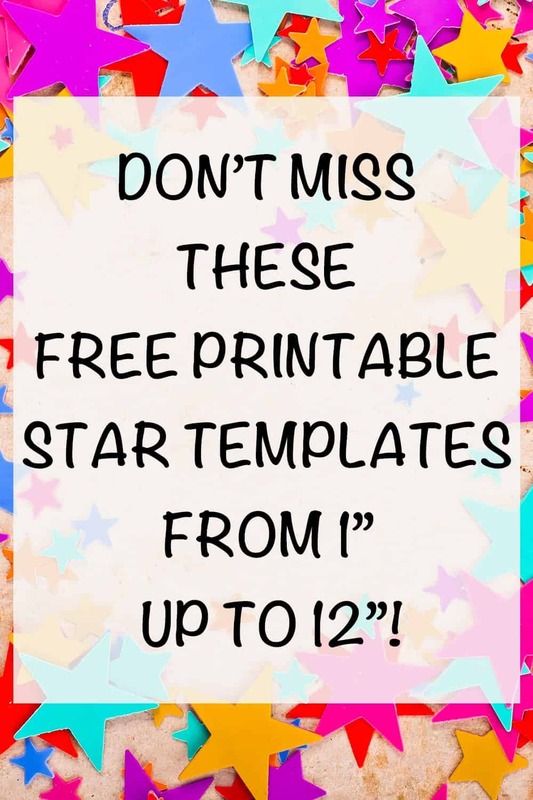 This collection of free printable star templates has it all! 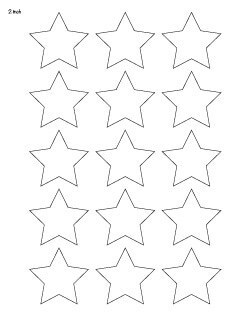 Designing these free printable star templates was so much fun! 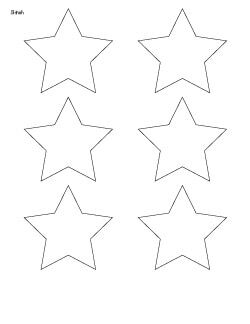 When I first decided to write this post, I had no idea just how many star printables I would end up creating! 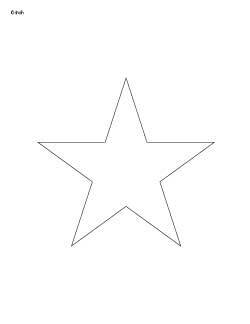 This has got to be the most comprehensive collection of star templates and patterns on the web. 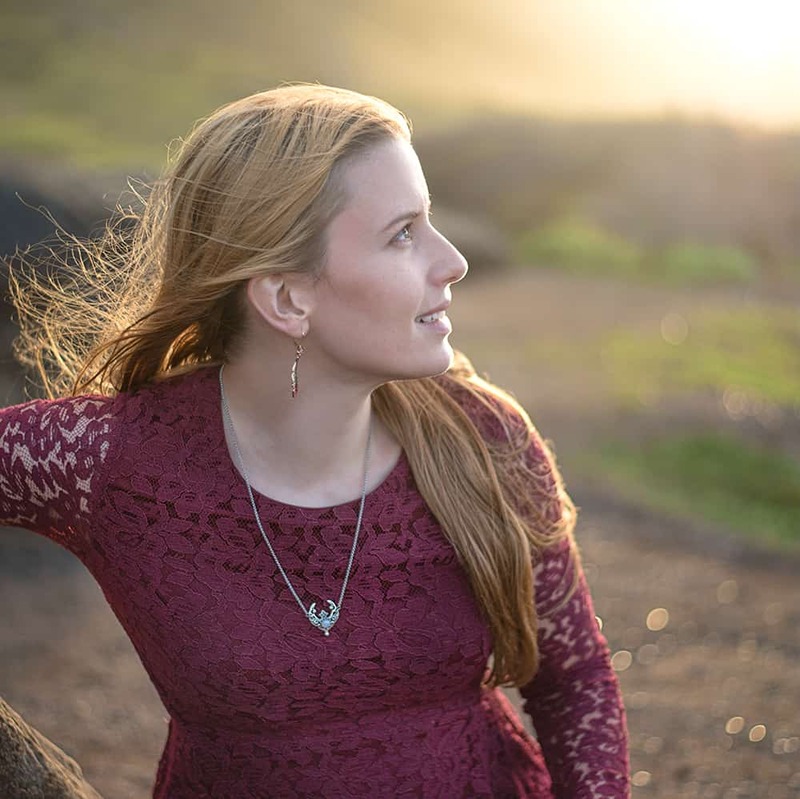 Scroll down to check out the previews and I think you’ll agree! 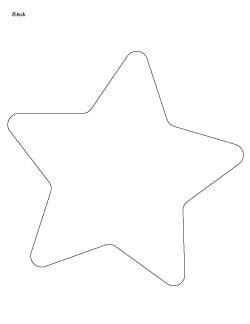 You’re a busy person, so I encourage you to become an Artisan Life member. 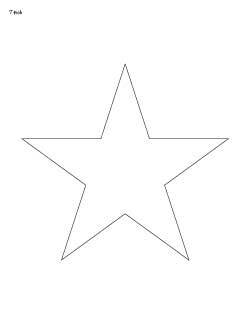 Member’s can hop on into the Resource Library and download PDFs with each size of star in one document instead of individually clicking and downloading each and every size you need! 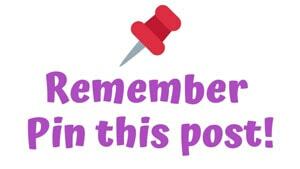 Just use the form below to become a member and let me know where to send your password! 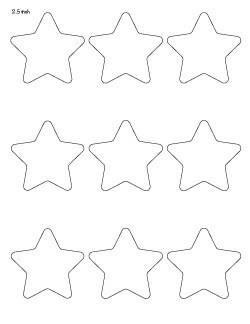 I also invite you to consider making a small contribution by “buying me a coffee” on KoFi if you appreciate these printables. 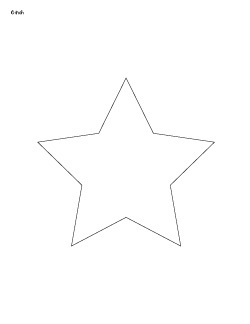 I have to justify my Adobe Illustrator subscription to my husband! 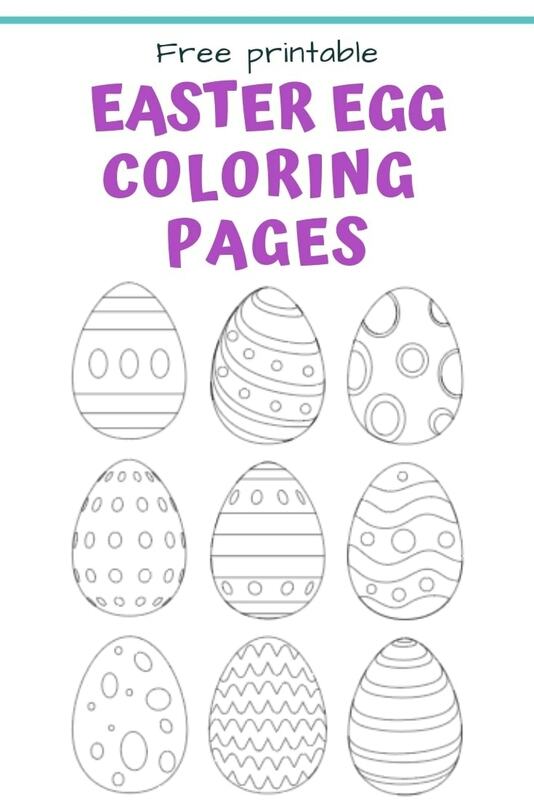 Regardless of whether you subscribe or donate, I truly hope you enjoy the printables! 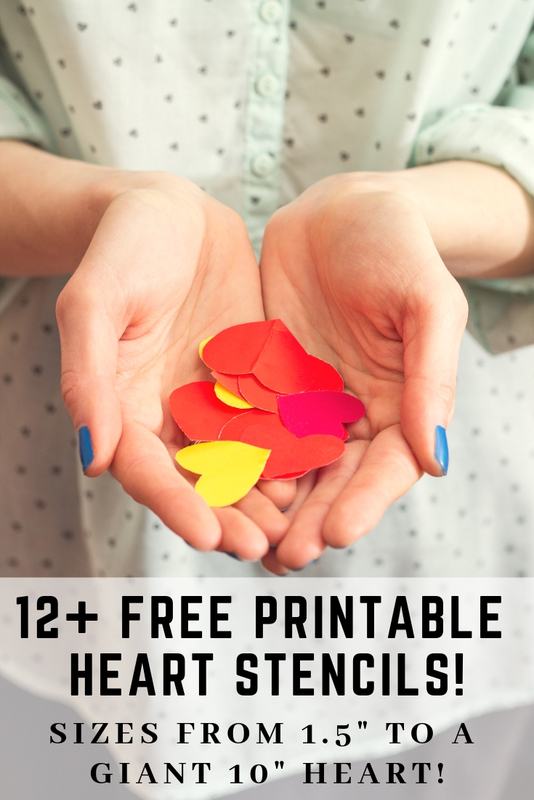 Looking for more shape printables? 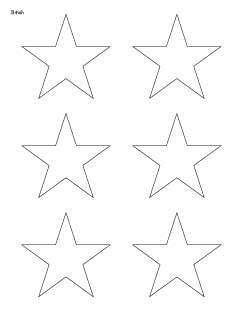 First, I wanted to let you know how the stars are measured. 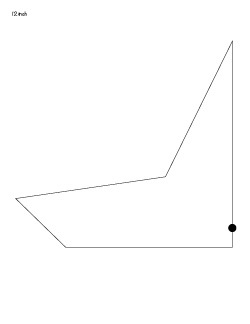 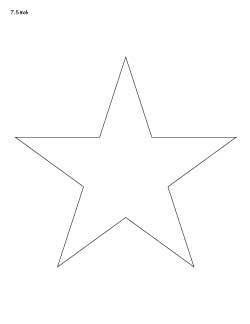 They’re not square – the given measurement is based on the height of the star, which is slightly greater than the width. 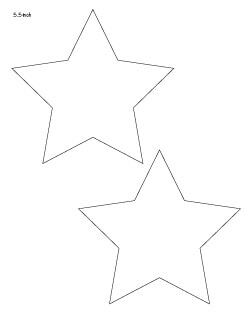 Second, I want to encourage you to consider investing in a star punch if you anticipate needing a lot of a smallish size star. 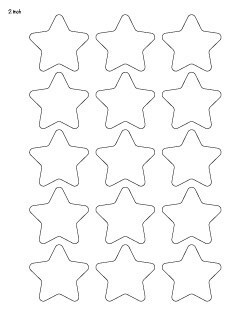 The printables do to down to 1″, but cuttings lots of small stars quickly becomes tedious. 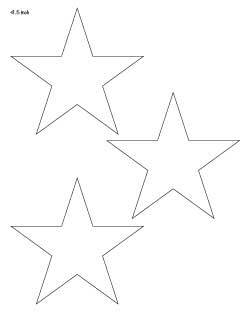 Below I’m listing a variety of star punches, including a set with a heavy duty 1″ star punch, a 2″ star punch, and a 3.5″ star punch. 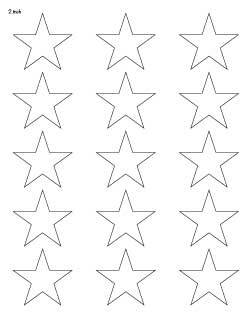 They are seriously worth the investment if you need a lot of stars! 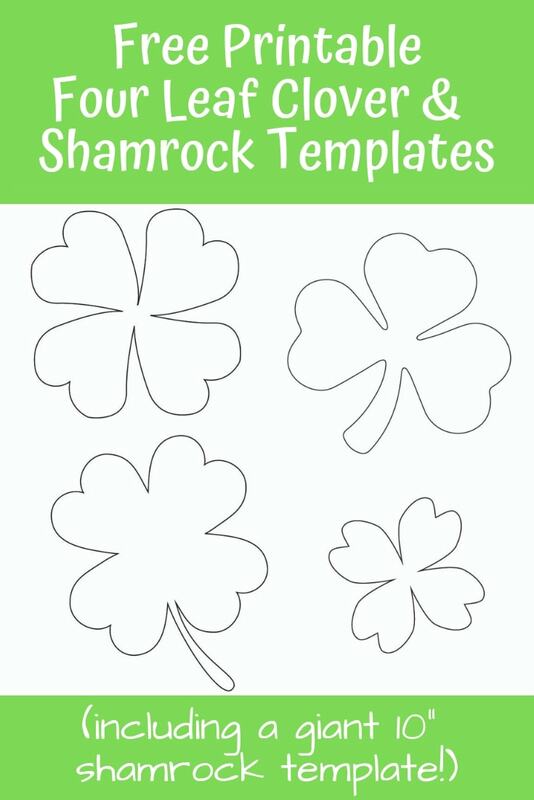 Alright, on to the printables! 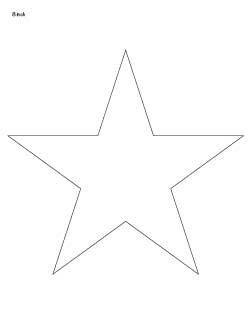 Let’s start with the traditional five pointed star! 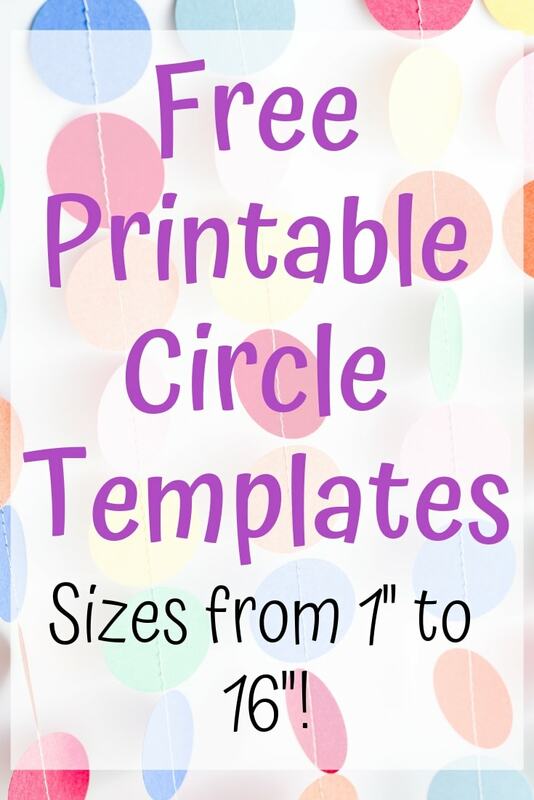 Just like with the circle templates, I’m arranging them in order from largest to smallest. 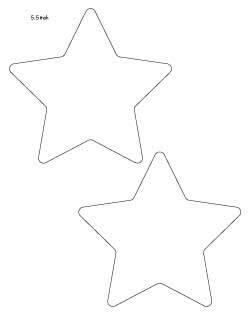 I’ve made stars in .5″ increments from 1 inch to 8 inches, then there are is also a special 10 inch star template and an extra large 12 inch star template. 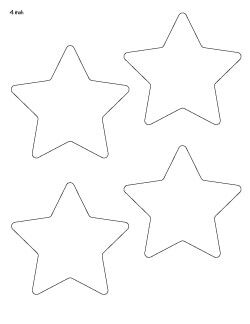 The larger templates require some tape – you need to piece together two or more pieces – but they’re very easy to use and perfect for larger things like posters or classroom wall decorations. 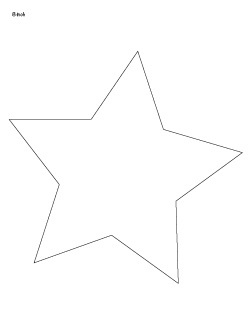 This template is only half of the star. 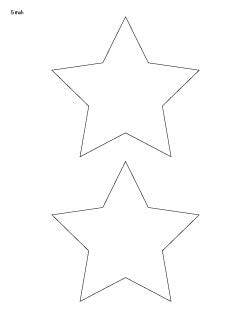 Either print two copies and tape them together, or simply trace the first side, flip the pattern, then trace the second side. 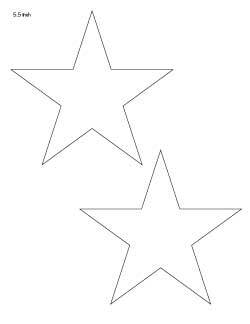 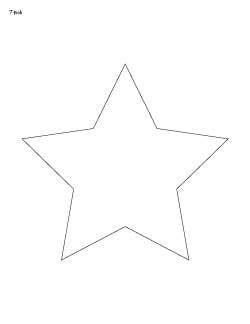 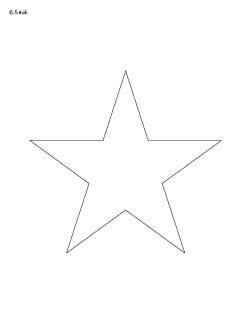 Printing two copies and taping them together along the midline is the best way to make sure your star is perfect! 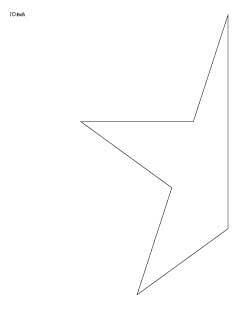 This template has two pages. 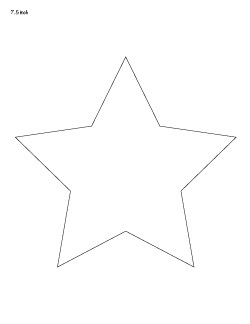 Print and cut them both, then align the straight edges so they overlap. 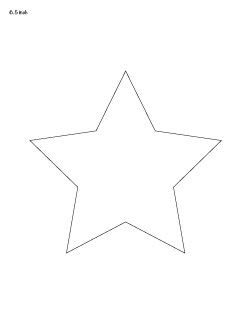 The circles should meet. 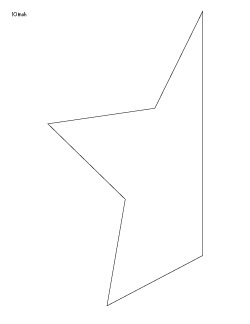 Tape in place, trace, then flip the template to trace the second side. 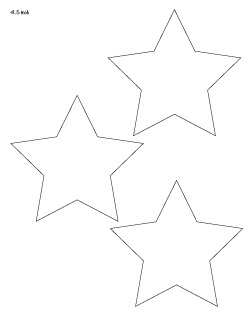 You an also print a second set of the templates and tape all four sheets together for a solid 12″ star pattern to trace! If you want to download all the printables at once, become an Artisan Life member and gain immediate access to the Resource Library! 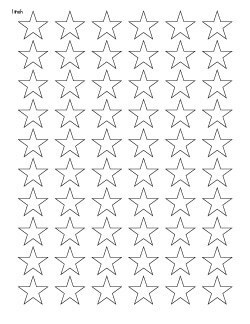 For a classic American flag look, you’ll want these geometric stars. 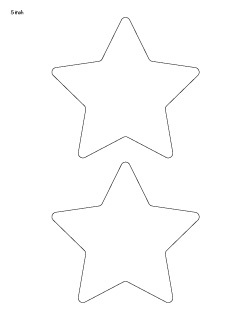 They’re available in .5″ size increments from 1″-8″. 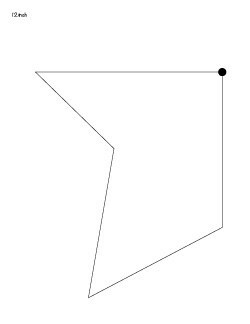 There’s also a 10″ option. 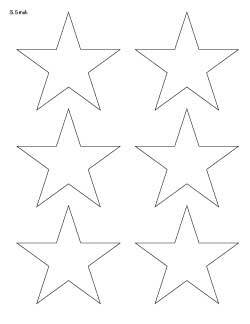 These American flag stars are different from the stars above because the shoulders are flat instead of sloping (if that makes sense!). 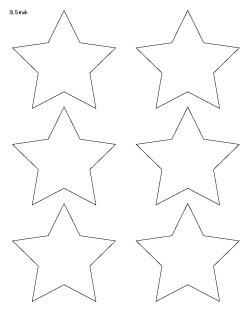 They’re the right templates for the job if you want to make accurate-looking flags for any nationality – to the best of my knowledge, this is the style of star all flags use. 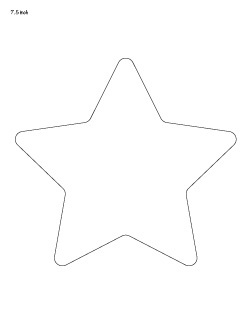 I couldn’t resist making a cute rounded star template! 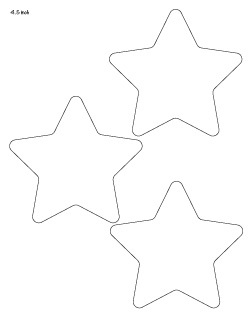 These kawaii stars are also available in .5″ steps from 1 inch up to 8 inches. 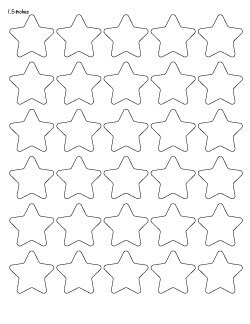 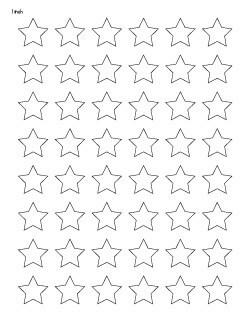 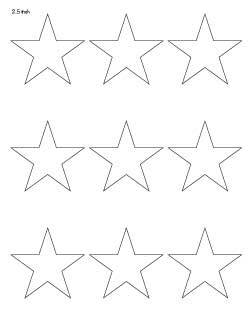 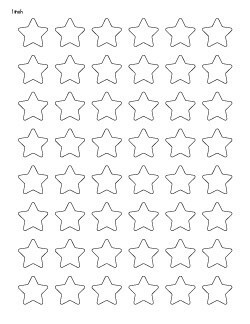 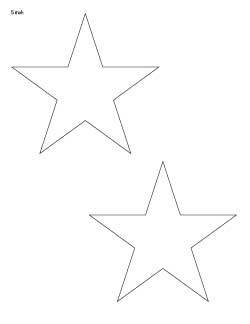 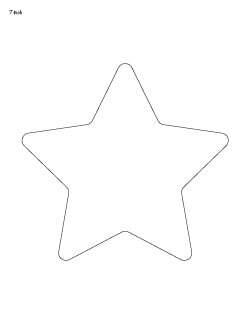 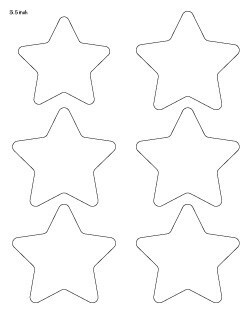 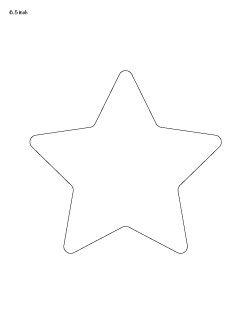 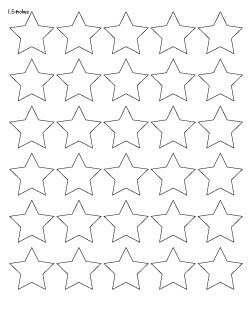 These stars are great for anytime you want a cutter, softer star, like for a preschool or kindergarten classroom. 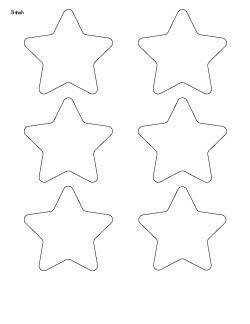 Again, you can download all of these rounded star shapes in one PDF in the member’s only resource library! 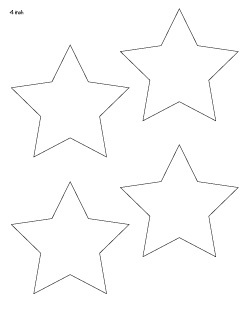 Don’t lose track of these star shapes! 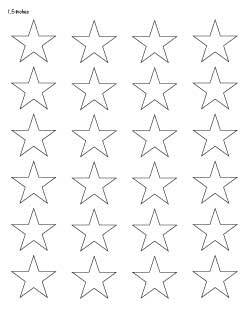 Pin them now! 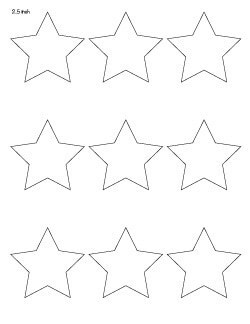 Previous post: Why Is it Hard to Be Grateful?